A striking 1920’s Khotan carpet was recently repaired at our workshops. 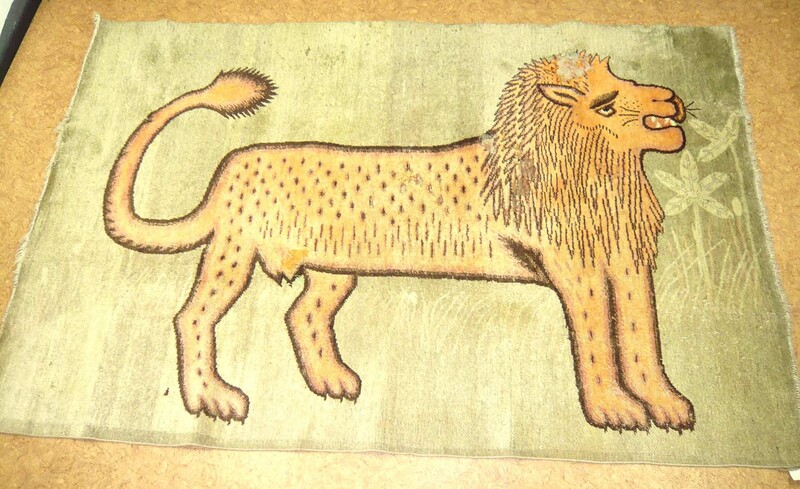 The carpet is full of charm with nearly the entire main field dominated by an enormous stylised lion…a quite fascinating character. Unfortunately whilst in storage large areas of the rug had been attacked by moths, so the condition of the rug on delivery to us was of a slightly balding lion where the moth larvae had attacked the pile in order to gain nutrients from the protein in the wool. It reminded me of Aslan in The Lion, Witch and the Wardrobe! The cotton foundations had been spared as they are of no appeal to moths. The client already had heat treatment carried out to kill the eggs, larvae and adult moth. 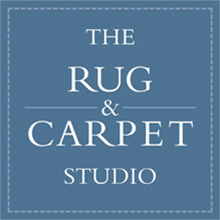 The client’s requirements included the cleaning, re-piling of moth damage and hanging the rug on display. Insect pests are becoming an increasing problem, causing damage to rugs and carpets that is costly to repair. Climatic changes and central heating create the perfect atmospheric conditions for insects to breed all year round. There has been a withdrawal of many insect-proofing agents due to their carcinogenic properties, and a resurgence in the use of natural fibres in furnishings. 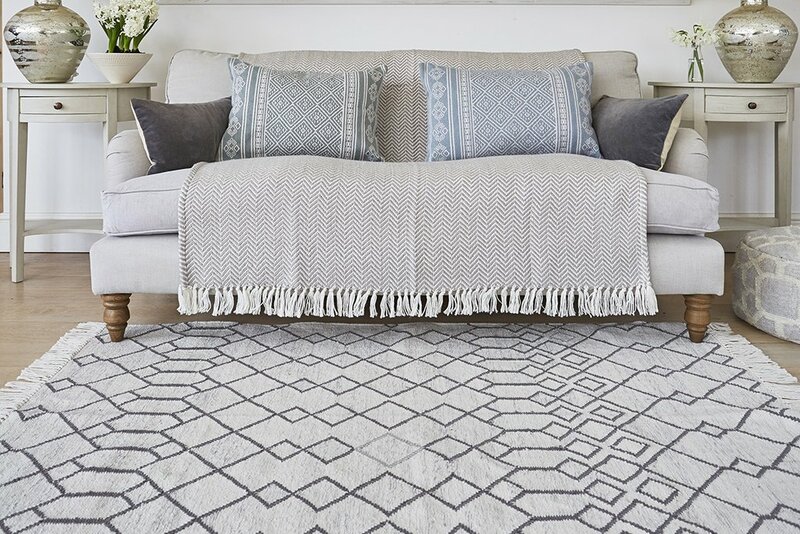 As a consequence we have seen a considerable increase in the quantity of rugs brought in to us over the last few years containing insect infestations. Vigilance is the greatest deterrent, therefore carpets left undisturbed in warm, dark and damp areas such as in storage or partially under furniture are vulnerable to attack.